Everyone is concerned about the safety of their valuable possessions and wants to ensure maximum security for it. However, the recurrent incidents of theft commercially and domestically have led to a great number of companies and people, in general, to engage in finding better solutions than a standard security system and surveillance cameras. Thieves are becoming smart and theft activity prompts as a major problem for everyone. Advanced methods and dedicated tools have allowed thieves to carry out their activities in utter sophistication, leaving no trace at all. For a business, theft of valuable equipment is a direct blow at their profit margins. 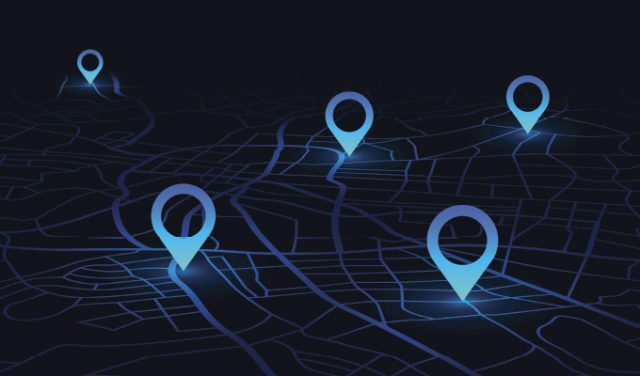 Every person from a level of a business to a single user wants high security and in this regard, GPS technology has proven to be practical and resourceful in many ways. GPS technology is a handsome technology much like the stuff you see in Hollywood blockbusters like The Transporter and Hitman. I have installed a GPS tracker in my car and to no surprise, it allows me to sleep comfortably at night and park my car anywhere I wish without having to worry about theft. In layman’s terms, GPS trackers are easy-to-install devices, compliant for a different range of assets and equipment. They are multi-purpose, provide real-time surveillance of any equipment, as well as easily accessible records of all activity. The system gives prompt notifications and alerts every time an activity takes place. These devices create virtual perimeters around them and every time this area is breached, it immediately sends a notification or alert to you on your smartphone or anywhere you have programmed the system for it. A good example is LiveView GPS, a company that offers advanced GPS tracking devices for single customers, governments, and businesses. It has a large portfolio of systems and devices which can be utilized for security and tracking of assets, vehicles, equipment, etc. Their fleet tracking devices and asset trackers continue to solve problems of theft for many customers. GPS technology to safeguarding equipment has many benefits at large. Companies and individual owners rely on certain contemporary features and benefits which have a proven track record in ensuring security and preventing theft. Scooping out some benefits, the most viable one remains real-time tracking. How does it work? You install a GPS device to the equipment you want to secure. Benefits of Using GPS Technology would provide you with complete live surveillance of the location of your equipment. You can monitor it anytime and anywhere since the tracking application would be programmed on your phone. The ease of access and a convenient user interface allows everyone to benefit from the practicality of this technology. Getting notification alerts every time the equipment is moved from its place can allow you to have a better idea and able you to track its location swiftly and easily. In an unfortunate case of theft, you can always rely on activity records to make traces as the device is able to store all data and allow you free access. This is what makes GPS technology all the more convenient to users. A rather different use of this advanced technology is boosting productivity in business. The enterprise-level tracking of this technology has a far-reaching purpose, especially in allowing more productivity. A good example is of fleet management where businesses can track all activity of a fleet. The records allow them to access location it has been to and the time of it. It allows you to evaluate a driver’s driving behavior, access vehicle operation data, bust moonlighting activities and ultimately, boost productivity. GPS devices and trackers manufactured are backed by the idea of allowing a better customer experience and protect any kind of equipment. Therefore, companies have made sure they remain highly durable devices which can be used sustainably in the long term. The devices are shielded by tough materials which are easy to yank and removed from any equipment. Plus, they are not easy to be put out of the use or cracked by cutting wires or smashing a hammer. Some devices are programmed to send a special message whenever they are vandalized or are attempted to destroy. The devices are waterproof, meaning that it can work in any harsh weather condition and ensuring that your equipment is safe and secured. This is profoundly beneficial in transportation businesses because a fleet has to make delivery and transit journeys even in harsh weather conditions. No longer, bad weather can be used as an excuse to cover any mischievous activity by a rogue employee. Besides, accidents to happen and such highly important devices should be able to withstand a water splash or a spill. In a case of emergency or an accident, the GPS would help make a trace of the fleet’s location. The battery span of these devices is also reliable. Long journeys and long hours of surveillance can be ensured because the battery power would let the device to keep running and monitor equipment for long. In general, a GPS tracker would prevent theft in remarkable ways that once an activity occurs, it would send a direct notification to you. In a matter of time, you would be able to track it down and get law enforcement to conduct their job. Recovering your stolen equipment would be fairly convenient and the culprits would be dealt with accordingly. It is important for everyone to stay prepared and take worthwhile measures ensuring the security of their equipment. Failure to do so can result in a rather adverse scenario and unfavorable circumstances in the future. Often times, the law enforcement is not able to sort out and the entire process of cracking down criminals takes a lot of paperwork and investigations. It is time-consuming and divides up your priorities. It is certainly not favorable when the stolen equipment is one major asset in running your business because it could hinder your work and result in an operational seal. George Karonis has a background in security and surveillance. He started his first e-commerce website back in 1990, a company that would later make the list of Internet Retailer’s Top 500 largest Retail Web Sites. In 2007, Karonis founded LiveViewGPS Inc., a location-based services company providing GPS tracking and other related services to businesses and government entities across the U.S. In 2015, Karonis received a U.S. Patent for Providing Location for a Mobile device, Mobile Phone Locate. The Mobile Phone locate service, was a first of a kind service, that allowed any cell phone to be located across multiple carriers using a prepaid locate card to access device locations.